Can all crawl spaces look this good? 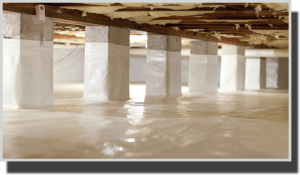 Crawl space encapsulation improves the homes overall health and comfort. In the last ten years the concept of sealing a crawl space has grown in popularity. Most of this is because of the results it delivers when it is done properly. Conditioning the crawl space is the final goal in sealing a crawl space. Much like the rest of your home, this can’t be done with the windows open. This concept is a sharp contrast from the way we use to handle crawl space moisture. Knowing WHO is working on your house is just as important as what they are doing to it. So many people mean well when they go into business, but then find it difficult to deliver the same end result as a seasoned businessman with decades of experience. We listen, we understand it is your home and not ours. We also know and understand it is your expectations we are hired to meet. Our success comes from the understanding that your monetary investment is a trade for a quality result.